Aside from The Undertaker vs. John Cena, the other topic is regarding Braun Strowman’s tag team partner. As of now, we have no idea who it is but there is one name that looks very unlikely for WrestleMania. Rey Mysterio has told people that he is not going to be at WrestleMania and that he hopes to be recovered from his bicep injury by the end of this month. 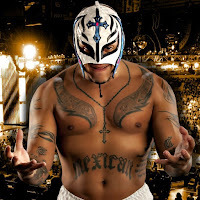 Dave Meltzer of the Wrestling Observer Newsletter is reporting that Mysterio, as of last week, had not been asked and had not signed a deal with WWE. Again, things can always change at the last minute but that is the latest on his status. Furthermore, Mysterio is committed to more dates with New Japan Pro Wrestling and he might be working on the big Cow Palace show in San Francisco in July. Meltzer also noted that Mysterio still has non-WWE commitments over the summer. However, It should be noted that he did work the Royal Rumble pay-per-view without a contract and he continued to fulfill his independent dates.